Here I am, hard at work. 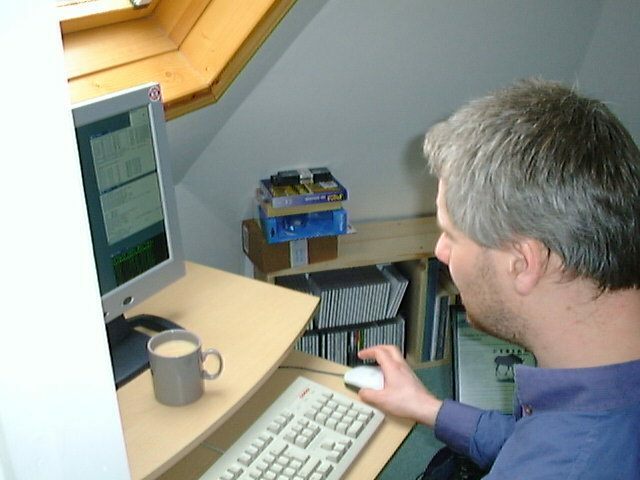 In the background, you can see my extensive collection of MP3s in CD-ROM format, which is part of what keeps me sane when I'm working up there on my own. I need a haircut.